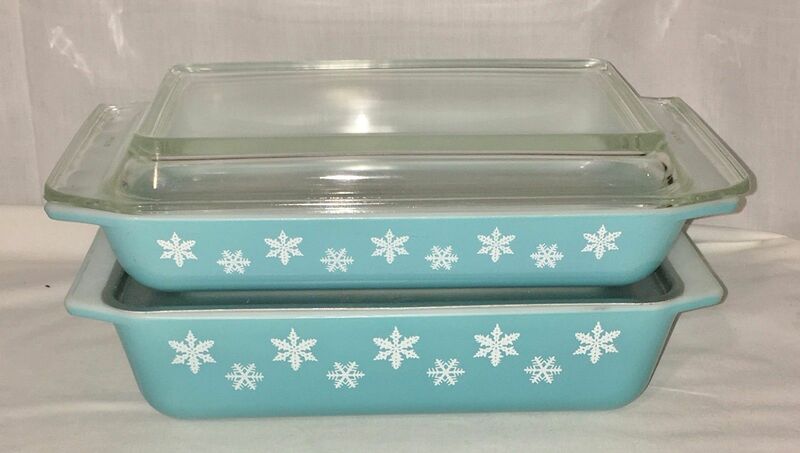 In fact, it was a home cook that discovered Pyrex’s usefulness in the kitchen. Bessie Littleton was the wife of a physicist at Corning Glass Works. One day, she baked a small sponge cake in a sawed-off battery jar made from Pyrex that was used in the lab. Her experiment proved Pyrex could go in the oven, and after that, history was made. 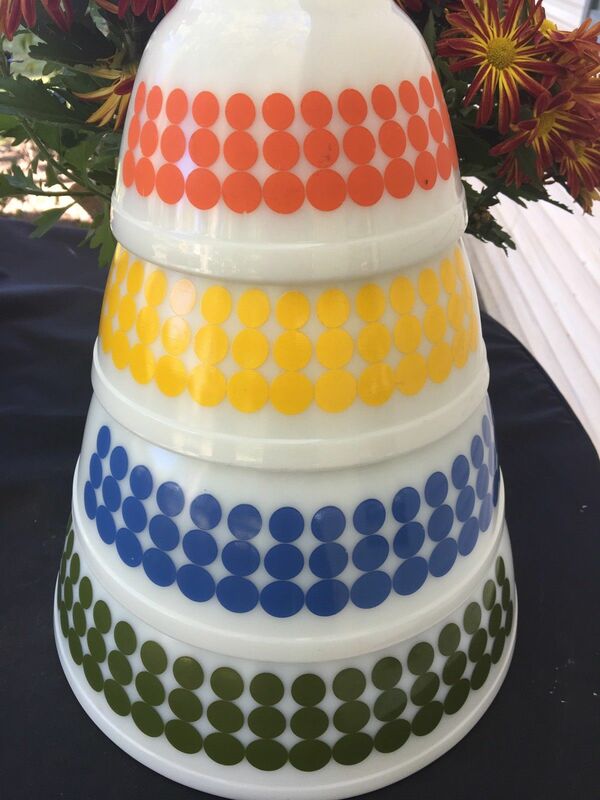 In the 1930s and 1940s, the company began to produced opaque temperated soda-lime glass, and the fun Pyrex patterns you know and love began. 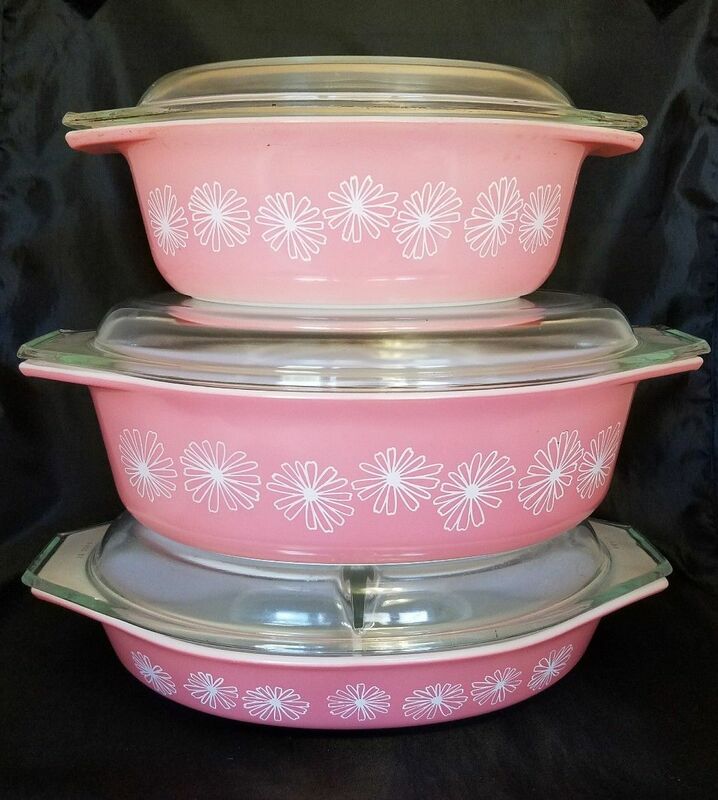 We’ve covered just how expensive vintage Pyrex is nowadays, especially when sold through crowd-sourced sites like eBay. 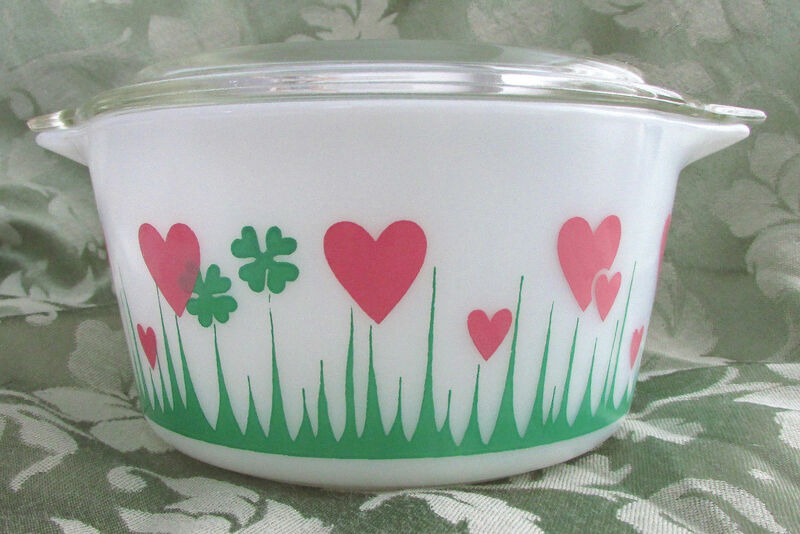 Now, we’re taking a look at some of the most popular vintage Pyrex patterns. If you have any of these in your own kitchen, know that they are certainly in high demand. 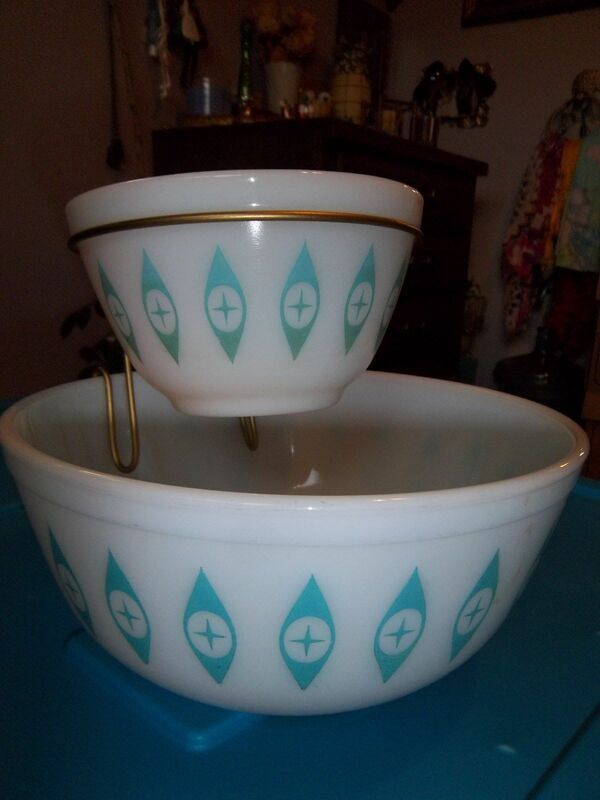 Originally known as the Hot ‘N’ Cold Chip and Dip set, the Eyes pattern was produced between 1950 and 1959. 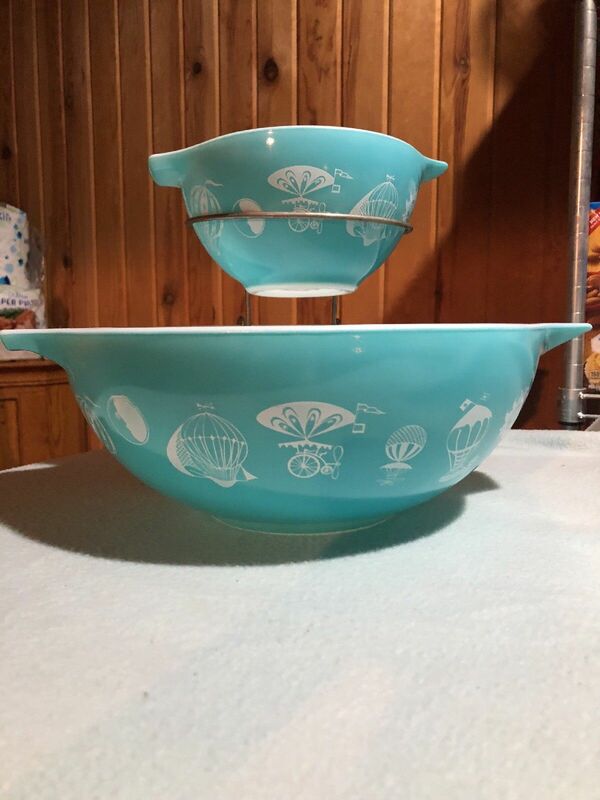 The chip and dip set included two round bowls, one smaller and one larger. 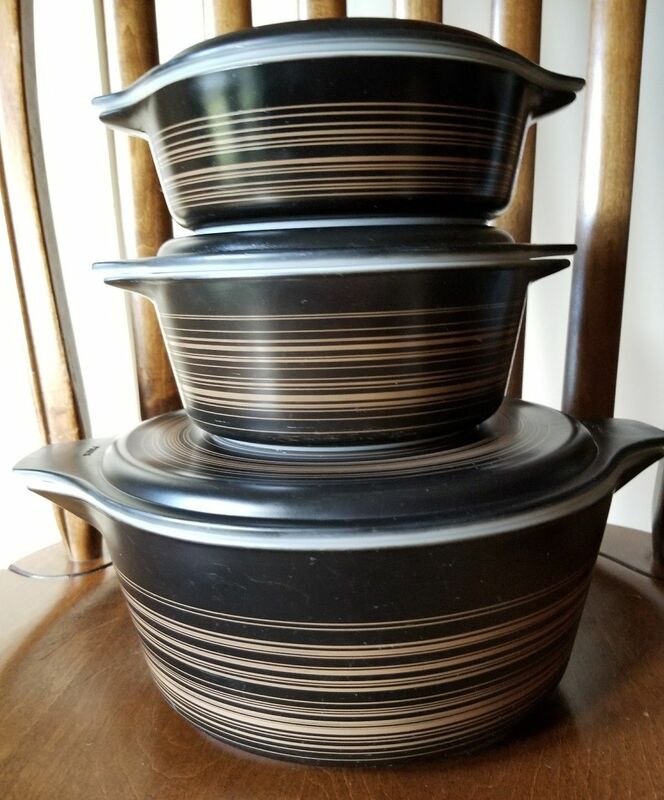 These vintage Pyrex bowls are a must-have for any Pyrex enthusiasts, and make an excellent refrigerator dish to store prepped ingredients. The primary colors of the Dot pattern, also known as the New Dot, showcase the design interest of America in the early 1970s. 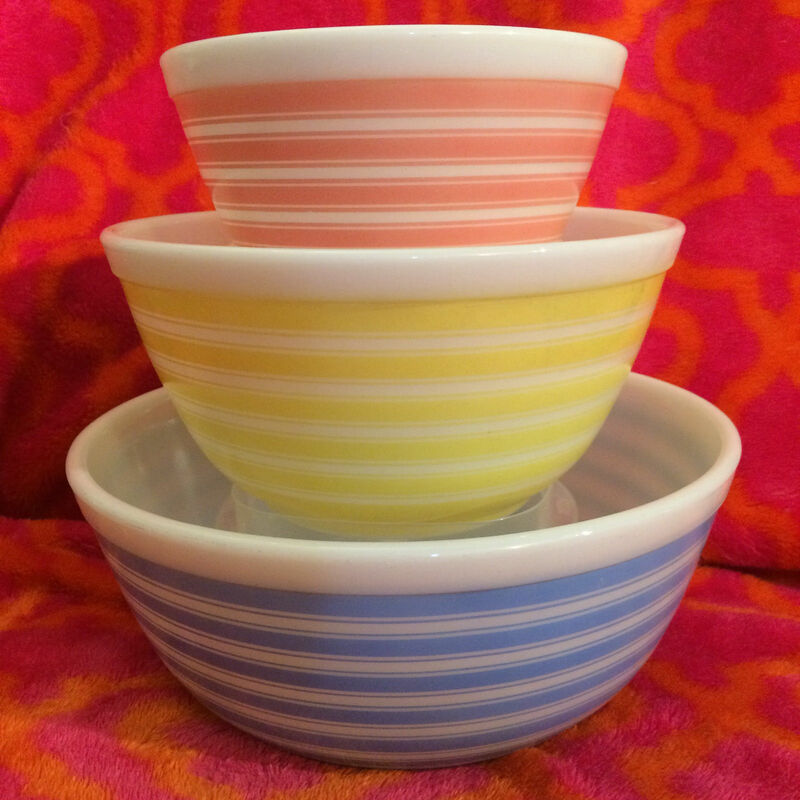 You can find single bowls for much cheaper on eBay, but to find an official set, you’ll pay a pretty penny.